Thanks to 'The Flying Dutchman' Christiaan van Heijst for the right to use his picture taken from the cockpit during landing on Samos. 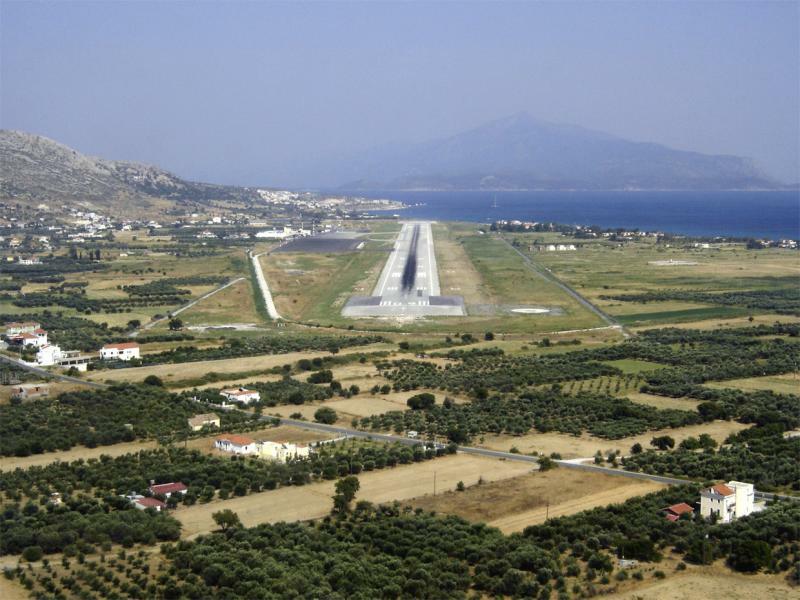 Samos airport has a very short runway, and a difficult approach, due to the mountains. 'Samos is one of the airports that will stay in my mind forever due to its very challenging approach and landing'. More pictures from Samos Airport can be seen at his website. Links: Samos Airfield at sunrise. Final Samos. or: Flying Dutchman/Christiaan van Heijst's website.